I’ve been to Bev’s several times and never reviewed it but today it is time. 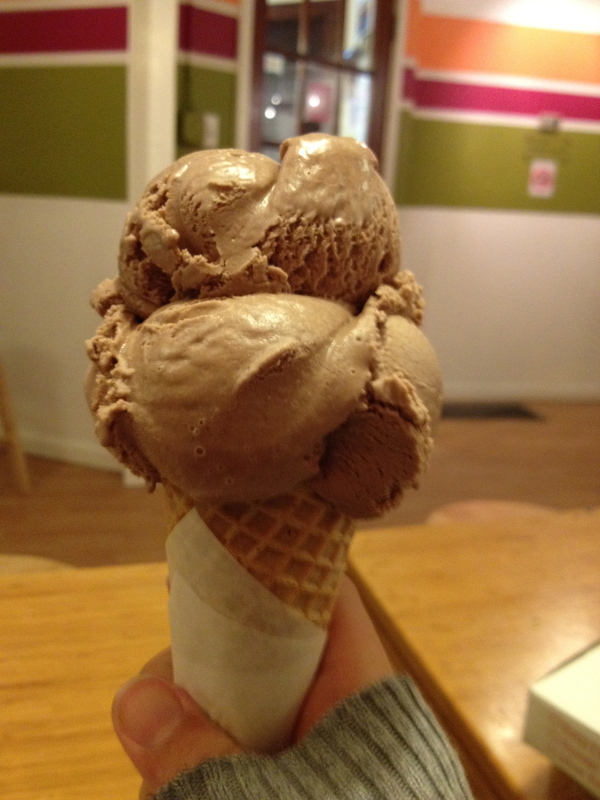 Everyone should know just how amazing Bev’s ice cream is. It is amazing. 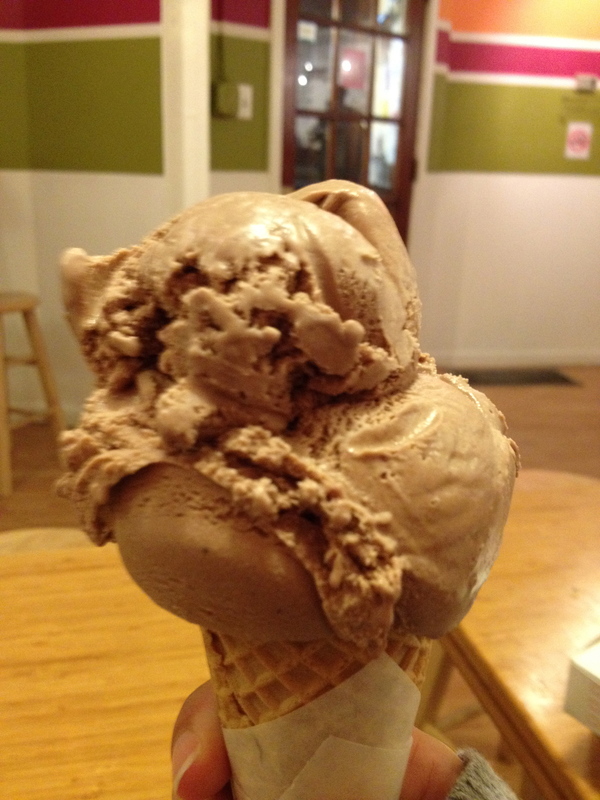 Today I had the Nutella Gelato and it is one of my new favorites. Some of my other favorites include Samoa, Honey Almond Oatmeal, Basil and so many more. I always get mine in a sugar cone and they also have waffles cones, cake cones and of course various cup sizes. They have set flavors that are always there and then new flavors every week. I always like to get one of the new flavors because they are always interesting and unique. Today Adam had the Cinnabean (cinnamon coffee) and Dark Chocolate S’more in a cake cone with rainbow sprinkles. They also have different kinds of shakes and desserts and homemade pastries, cakes and/or pies. And it is always amazing. Any time I go in to Cary Town I always have to stop by and see what’s new. There is plenty of seating and the people are great. It’s just an awesome place all the way around. Plus, today my ice cream looked like a cat. Eat at Bev’s!